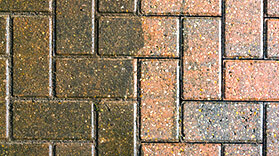 A power wash can do wonders when it comes to increasing the curb appeal of your property. You can raise the value of your home just by improve its appearance. But that is not all a pressure wash can do for you. Moss, mildew, grime, grease, and other pollutants can harm your property when left untreated. Our team of trained technicians can give your home a thorough cleaning that will prolong the lifespan of your property. NICK’S Window Cleaning offers pressure washing services Oakville property owners can depend on at an affordable rate. We have established ourselves as Oakville’s trusted pressure washing service providers. Our expertise has served the GTA for over ten years and we have a string of satisfied clients to show. We strive to give you value for every dollar you spend, and that is why we only bring the latest power washing equipment to the task. Whatever your cleaning job, you can trust that we will make short work of it. NICK’s Window Cleaning has full liability insurance and WISB coverage. You can therefore relax knowing that your property is fully protected from any damage. Our trained and experienced technicians strive to give you safe and reliable pressure washing. Your home is more than just brick, wood, and concrete. We understand the value you attach to it and that is why we will treat each job with the utmost care it deserves. Your trust in our services will not leads to disappointment. Our sole duty is to make sure you join the numerous happy clients we have served in the GTA. When it comes to commercial property, our aim is to get things done as fast as possible so you can get back to work quickly. But even though the job will be done swiftly, you can bet it will be thorough. Whether it is your driveway, walkways, roof, or deck, we have the know-how to make sure the job is done safely and in good time. You can do your own pressure washing but it most likely won’t be a thorough cleaning. Even worse, you might end up injuring yourself and damaging your property. Do not gamble with your investment. Pressure washing equipment is not for the untrained and many people have learnt that the hard way. Considering our affordable rates, why not stay safe by giving us a call! It looks easy, doesn’t it? Just get yourself a pressure washer, hook it up, and blast away! The only problem is that at the end of the day, you will end up blasting away more than just the dirt on your property. Many people have ended up damaging their property and even injuring themselves by trying to do a job that is best left to professionals. Thinking of DIY power washing? Here are four reasons why that is a terrible idea. You do not have the know-how: When it comes to pressure washing the different materials found on your property, no one size fits all. Each type of material has to be handled in a specific way or you risk damaging it. A professional power washing technician with years in the business knows how much pressure to use, the angle to aim the water blast at, and for how long to keep at it. By hiring a pro, you’re assured that the job will be done effectively, with every corner of your property thoroughly cleaned. You put your property at risk: Believe it or not, power washing equipment is more than a hosepipe on steroids. The pressure it unleashes can damage your property with brutal ease. You won’t have the protection of your insurance company since such damages are not covered normally. Professional pressure washing companies, on the other hand, have the necessary insurance to give you a safe cleaning you can trust. Avoid injury: Not only is your property at risk but you might just end up hurting yourself or your family by handling a machine as powerful as a pressure washer. It only takes brief contact with the blast for you to have to visit the hospital. Everyone thinks they can handle it until it’s too late. A pressure washing company employee will have the required training and experience to ensure the whole process unfolds in a safe manner. You will waste time: From choosing the right equipment to hire or buy, to learning how to set it up, you will waste quite some time. That is before you even get to do the cleaning itself. But since you do not have the requisite technical know-how, all your time might end up being a waste. Working with a professional can mean a quick but effective job. Before you waste your time and money, why not give the professionals a call for an inspection?